—- Woman: Well, here we are, together for another whole year. —- Man: Sure … I could go for a cold beer. Listening and Understanding … The key to every great relationship. I’ve been thinking about communication and its challenges because a weekly discussion group I belong to has started off the fall season with the topic of the philosophy of language. It’s a tough slog, but fortunately our group has a good sense of humour! One of the several intriguing, fascinating, convoluted, and obscure points we’ve wrestled with so far is the difference between the communication attributed to animals, allowing for their survival, and the advantages humans have with our capacity for language, which supports survival and also the development of thought and abstraction. It strikes me that there must be times when miscommunication between animals results in confusion and mishaps on the part of their young, regardless of whether or not they are able to abstract from what they experience and learn. What’s a young animal to do if her parents aren’t clear in their life lessons? 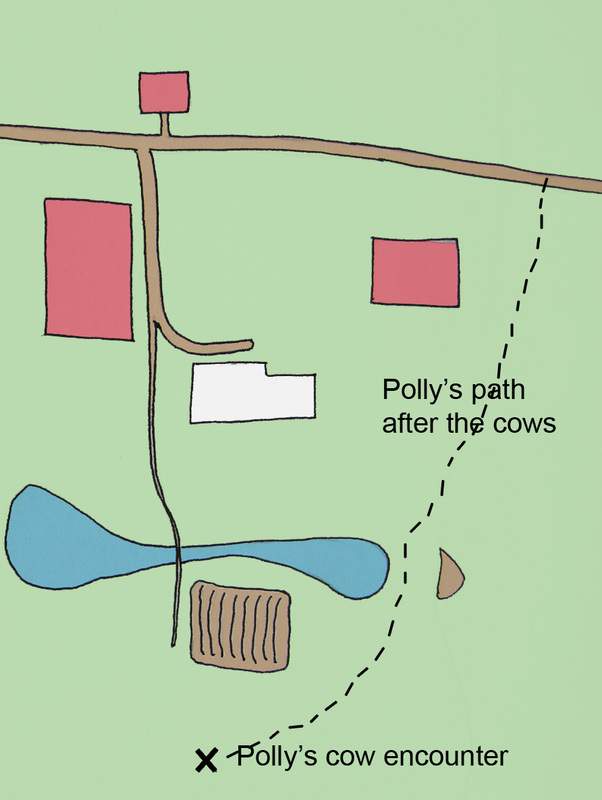 I thought back to the incident two of our cows had with a porcupine in our field all those years ago (Lessons from raising cows). 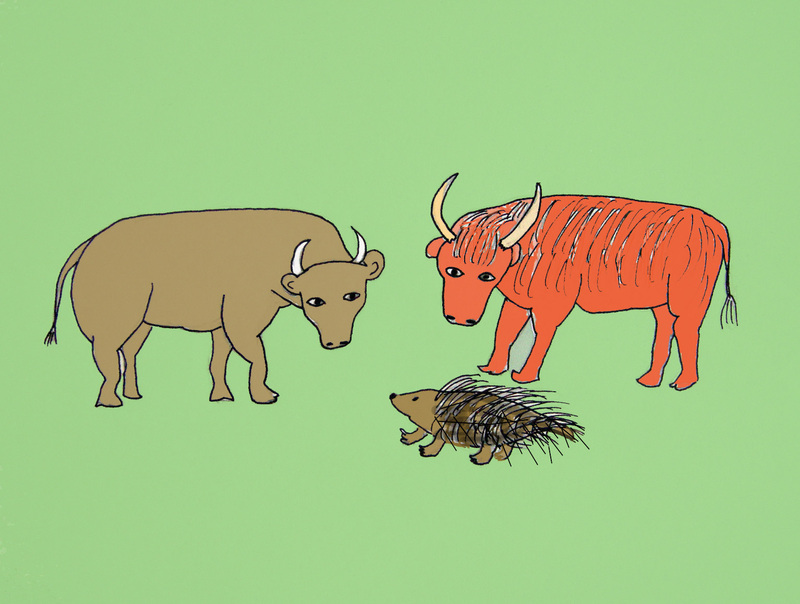 I had never thought of it from the perspective of the porcupine before, just from the perspective of a young couple (us) who had to extricate all those quills from our cows. 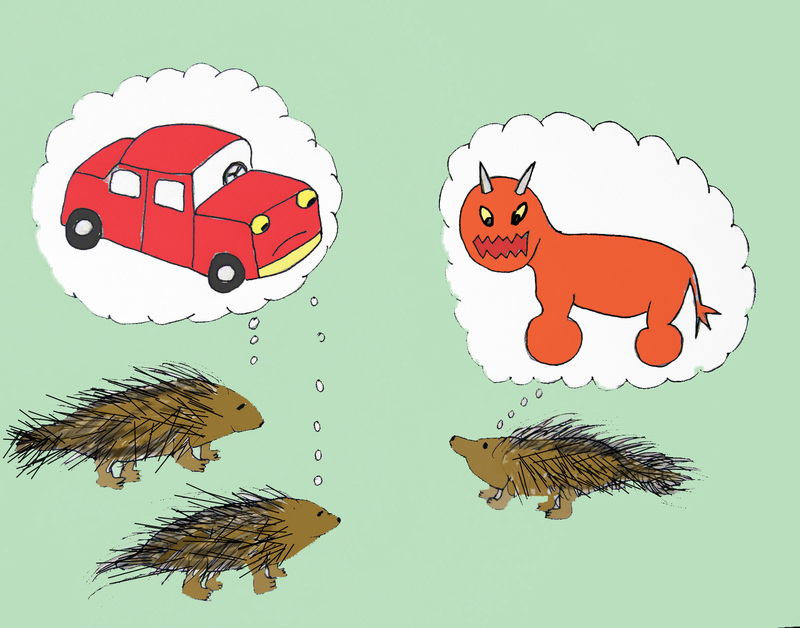 But considering all the roadkill at the side of the road this time of year, it dawns on me that there are lots of lessons for porcupine parents to communicate to their young. She left her home in the hollow of their tree one summer morning and moseyed through the nearby pasture. She liked being on her own. It felt so good to be wandering through the long, fragrant grass that she forgot to be mindful of possible dangers. Besides, she was in the grass, and her parents had told her that they weren’t usually on grass. And then, the next thing she knew she was looking up, way up, at two big brown animals. This entry was posted in Fables, Farming and tagged animal communication, children, communication, cows, Creativity, drawing, fables, farming, gender, hobby farming, inspiration, interpretation, language, listening, miscommunication, philosophy of language, porcupines, understanding. Bookmark the permalink. Good story. I enjoy the moral and humor mixed in. Great post, Jane! This is a lesson I’m continually striving to learn. Hope Chicago went well for you!! Thanks, Steph. Judging from your blog, I’d say you’re a very good communicator! Chicago went well and, now that we’ve arrived home, as soon as I get some sleep I’ll have to blog about it. Stay tuned! Haha! They sure don’t. Cars beat quills and skunk smell every time. Sad.